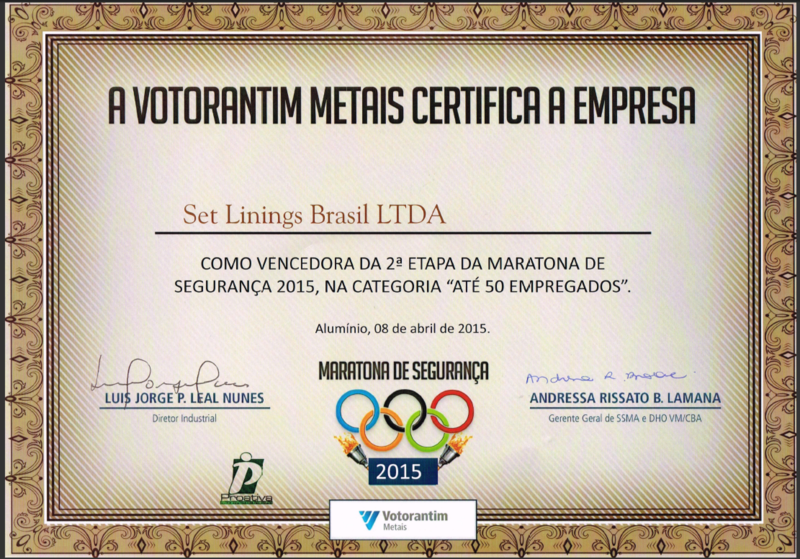 Alumínio, Brazil – On the past 8th of April 2015, SET LININGS BRASIL has won the 2nd stage of the 2015 Safety Marathon in its site crew category. This marathon is organized by Companhia Brasileira de Alumínio (CBA) – a company from the Votorantim Group and intends to distinguish the companies which have worked according to the highest safety standards on a regular basis (thus the name marathon). SET LININGS BRASIL is proud of having received this award and all its team will continue working to win the next stage.